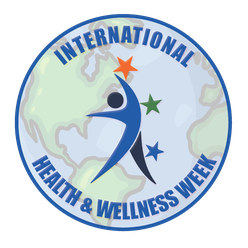 International Health and Wellness Week, a celebration started by Steve Guttman, ABMP member since 1993, will take place May 1–7, 2019. Intended to help educate, inspire, and motivate people to find the fitness and wellness modalities that work best for them, Guttman is hoping to unite people through the common goal of preventing obesity and disease, promoting a better quality of life and living longer, and celebrating life together. Guttman started the effort on a local level in 2016, and is opening the event to a wider community this year to health and wellness providers including massage therapists, chiropractors, fitness trainers, social workers, and other providers who help improve the wellness of others. There are no specific requirements for participation in International Health and Wellness Week—wellness professionals are encouraged to create an event, promotion, educational experience, or other celebration that works for their practice and community, similar to ABMP’s EveryBody Deserves a Massage Week. For more information about the event, including the option to purchase premade promotional materials, go to www.ihaww.org.